Why doesn't ESPN show the halftime shows? Each week we are inundated with comments and emails asking why ESPN and other broadcasting groups don't show the halftime shows on national TV during college football games. Today we got a chance to sit down with ESPN reps to discuss this exact topic. 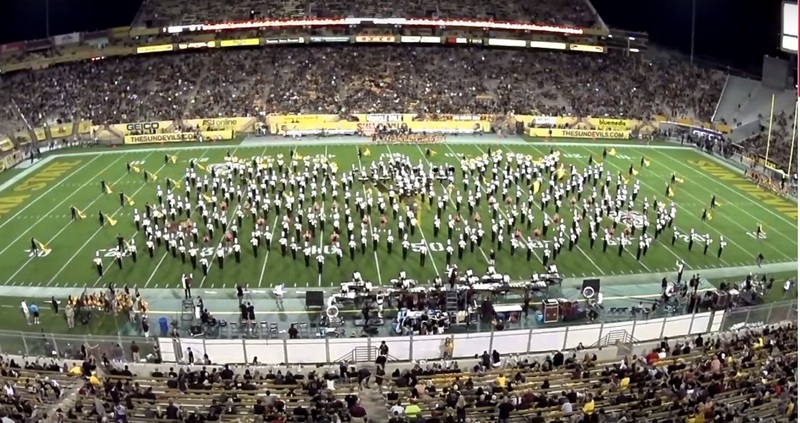 So why doesn't ESPN show the halftime shows you ask? Well the question is both an easy one to answer and a hard one to answer. The easy answer is ESPN does not own the rights to the music that is played by the bands. That means that even though the band has paid for that music, they are the only ones that are able to distribute it. ESPN is allowed to use what is called ambient noise at the game. So when the band plays something after 3rd down like Seven Nation Army, that is considered ambient noise in the game. Or if you hear a pop song play at the game through the stadium speakers and it can be heard on the game broadcast that is also considered ambient noise. The marching bands actually pay for the rights to the music that they play at halftime. They explained to us that when ESPN used to cover figure skating they (ESPN) thought the actual songs that the skaters danced to would be considered ambient noise. Unfortunately, it is not, as the music was played in its entirety and was a critical piece of the performance. That does not make it ambient noise. ESPN who had paid for the rights to broadcast these major events was sued by musicians and music companies for broadcasting the figure skating performance without paying for the music that the skaters had used. Crazy, we know. ESPN isn't the only major company that has had to deal with music rights and performers. You may recall Taylor Swift penned a rather popular letter to Apple to get them to pay artists for their songs that would be available in Apple's streaming music service. It's not that ESPN doesn't have the money to take the risk. According to Forbes.com, ESPN is the most expensive cable network for providers to broadcast. The fee that providers pay the network for the rights to broadcast ESPN is around $6.55 per subscriber per month. The next highest is TNT at $1.58. ESPN is also projected to make over $2.1 billion in ad revenue this year. However, they are a business and businesses don't tend to make decisions that open them to risk or lawsuits and they shouldn't. You'll notice that in the clip the audio is generic ESPN audio that they use. It would be awkward to broadcast the halftime show with no audio, so instead they speed it up to show you the formations and insert audio that they do own while one of their on-air talent explains what is happening. Now if you go outside of ESPN and look at the Big Ten Network for example, they tend to broadcast a small portion of the pregame and halftime shows. At pregame the music is owned by the school as it is primarily fight songs, an alma mater and the national anthem, which is available to use. The network has no issue broadcasting any amount of pregame as the school is part of the Big Ten Conference and the Conference owns the network. Halftime is a little different. They might show 20 to 30 seconds of a halftime show and then jump off. You will never see them show the full show. After all the games have been played they tend to do a link dump from halftime shows they find on YouTube as seen here: Click The reason they use YouTube clips and not their own is because once again, they do not own the rights. All of those performances were recorded by the bands themselves or fans in the audience. BTN does not take liability for posting the show, the poster does. So, they can't get in big trouble for sharing it. Now think about this. When are you most likely to actually see the band on TV during a broadcast? First off, when they are shown they are almost always playing. Second, the director in the ESPN control room who is deciding what you actually see on TV, has a rhythm and pattern that they follow. 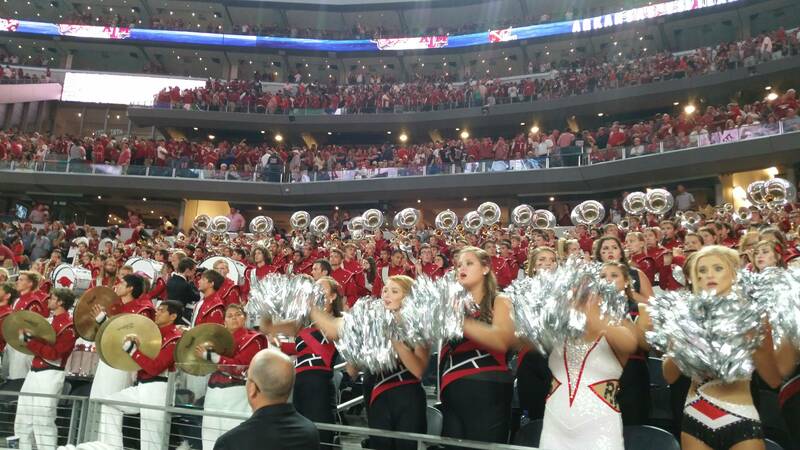 According to ESPN, the bands are most likely to be shown after a score occurs. Notice that when a score happens you can also hear the band playing much clearer than during the game. Well what typically is played after a touchdown or field goal? The fight song. The fight song rights are owned by the schools in 99.9% of cases and are perfectly fine to broadcast clearly through your TV. Over the summer the MEAC and FAMU Band announced that ESPN had agreed to showcase the MEAC bands on ESPN3 this fall when ESPN covered one of their games. We have been unable to confirm if this actually happened and we get the feeling that it hasn't. You may also remember that ESPN broadcast the National Championship game last year and showed halftime. They also do show parts halftime at bowl games like the Rose Bowl. The Rose Bowl and Rose Parade requires bands to send in their music so that they can submit everything to ASCAP/BMI for music compliance. If your band goes off script there are serious consequences. They have shown that it is possible for them to broadcast a full show, but they are not going to work through all the compliance for the 40+ games they cover each weekend just to show the halftime shows. The ad revenue they would lose out on would be tremendous. Another insight is that halftime is usually not controlled by the ESPN crew that covers your game. You'll notice that halftime is always sent "back to the studio" in Bristol, CT. They control halftime and have contractual obligations to their on-air talent and advertisers. So could ESPN pay for the rights to all the halftime shows? Sure they could, but they don't have the infrastructure to accept the music from every band that is playing and then submit to compliance. After they go through all the processes they would not make as much money as they do at halftime currently. For big games like the Rose Bowl or the National Championships they will do it, but for regular games throughout the year? They're not ready to make that investment. As a fan you have the ability to record the halftime show. However, that doesn't mean you should. We here at CollegeMarching.com obviously enjoy sharing the halftime shows that our fans record. We have heard that YouTube is looking to crack down on fans who post halftime shows as you do not have the rights to broadcast the music or footage. As much as that sounds silly, it also makes sense. If you go to a game and record the show and then post it, you could very soon receive a very kind message that states, "please remove this content or else...". Our world is changing drastically when it comes to broadcast media as access to high quality cameras and the internet is easy and affordable. Periscope has changed the game for live broadcasts while YouTube has made it easy to upload content and distribute to millions of people. However, it looks like things are changing again. 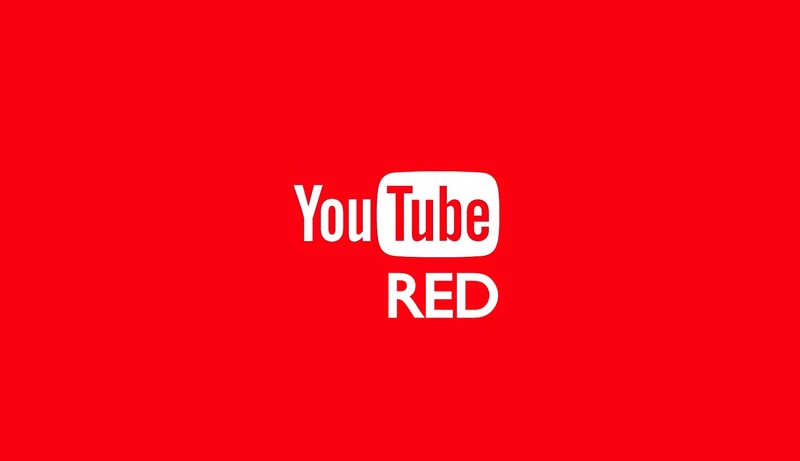 On October 28th, 2015 YouTube launched YouTube Red. It is a new pay to play platform that allows you to watch YouTube content for $10/month. Imagine it as access to Netflix style shows and other popular YouTube content without ads and the ability to watch offline. The point of this new platform is to a) make YouTube more money b) make content creators like you or me (if we were super popular) more money and c) create really good online content to rival Amazon or Netflix. However, this is just the beginning. ESPN explained that their properties like the Longhorn Network no longer have a YouTube channel and that Disney, the parent company of ESPN, is not participating in YouTube Red or really YouTube at all because of the complications and changes that are happening with the video platform. What does that mean for us the viewers and bands? Right now not a whole lot, but be prepared for changes in the future. Don't be surprised if YouTube scrubs themselves clean of videos that include content that you the fan don't own, like halftime shows. Universities across the country will have to restructure their channels. Content that is not part of YouTube Red will probably have pre-roll ads and pop up ads in their videos. You won't be able to stop it, unless you sign up for YouTube Red. For most of us, the YouTube experience will remain relatively the same, but don't say we didn't warn you. ESPN is focused on bringing you news, stories and live sports. They also are in the business to make money. Bands today just don't pull in the revenue that would be worth fighting a legal battle over. They also don't pull in a large enough audience for them to dedicate enough air time to, hence the discontinuation of the DCI World Championships. DCI is a great example of a niche market that thrives online. However, the big boys like ESPN can't sacrifice millions of dollars to broadcast it in prime-time to that small niche audience. It's simple economics. So the next time you complain about the talking heads at halftime or hear somebody ask why the band isn't being shown, explain to them that while ESPN would love to broadcast the bands, they simply can't. Now let's go and enjoy the free halftime shows on YouTube before we have to start paying to watch them.